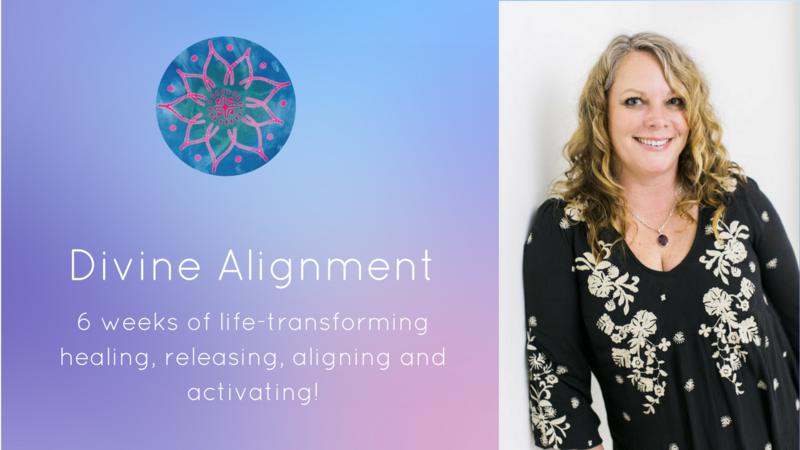 Join me for 6 modules of life-transforming healing, releasing, aligning and activating! You will receive over 75 Sacred Soul Alignments™ to help you in clearing all that needs to be cleared, and calling in fresh energies and manifestations to create an amazing year! Creating Deeply Satisfying Relationships, Stepping Into True and Lasting Abundance and Co-Creating Your Highest Potential! These 2 weeks we will focus on clearing and resolving past hurts, trauma, heartache, and grief, releasing you from outdated oaths, vows and contracts that are keeping you stuck in the same never ending patterns, untethering you from harmful, draining energies, people and situations. You’ll release negative beliefs and patterns that are preventing you from fully loving, honoring and embracing yourself. This will open your receptors to receive unconditional love from and for yourself, Creator, your family, your partner, and all of humanity. We will bring in the knowledge of your true self, awakening your inner confidence and sparkle, aligning you with your MOST compatible soulmate in this lifetime (or strengthening this relationship), your inner child, the Goddess within, and your soul family. During these 2 life-transforming weeks, you will experience the release of the emotions that are weighing you down, potentially causing health problems, fatigue, depression, anxiety, weight gain, patterns of struggle, sacrifice and lack. You will release layers and layers of belief systems and traumas that are NOT the truth of who you are, including beliefs that you are broken, unworthy, undeserving and unlovable. This will create the necessary energetic space to awaken your Soul’s Blueprint, activate your cells with new light codes, awaken gifts and abilities and dramatically raise your vibration, opening up enormous potential within! You will be connected with parts of yourself that are in other dimensions, the knowledge of the Great Central Sun, secrets of the Atlantean world, Akashic Records, the energies of AA Michael, Master Kuthumi, and Jesus. You will also experience connection with the Faerie Kingdom, Dolphin Energy, the Lemurians, and Pleiadians. In our final 2 weeks, you will release oaths vows contracts obligations and agreements of poverty, debt, suffering, struggle, sickness, sacrifice, and slavery. You will be unhooked and unplugged from the energies of lack, unworthiness, and struggle. You will also be released from thousands of limiting beliefs, trauma, trapped emotions and ancestral patterns. This will open you up to receive the frequency of Heaven on Earth, Unconditional Love and Compassion. You will plug into abundance that is as vast as the ocean, raise your money ceiling receive the knowledge, understanding and perspective that YOU CAN have it all, tapping into prosperity beyond your imaginings and the energy of miracles and the ability to create magic.